Wedding — Bjork Design Co.
At Bjork Design Co., we work with you to design custom invitations to celebrate your special day. We're all about personalization, feedback and creating designs you are absolutely in love with. With multiple illustration styles and printing methods to choose from, we can work within almost any budget. You just provide the information and inspiration, enjoy the process and we'll deliver the invites ready to go! This floral Save the Date was inspired by the couple's wedding flowers and colors. 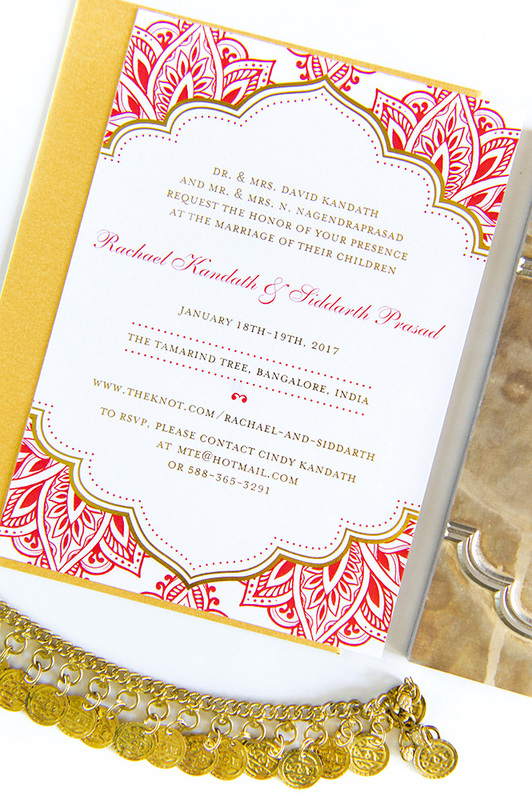 With a matching gold envelope, custom gold shimmer in the flowers and a matching return address stamp, this design came together beautifully! With versions in both English and Spanish to accommodate all guests and a matching, fun and trendy Bachelorette Party Invite, we just love how the hand painted watercolor florals unite their wedding stationery. 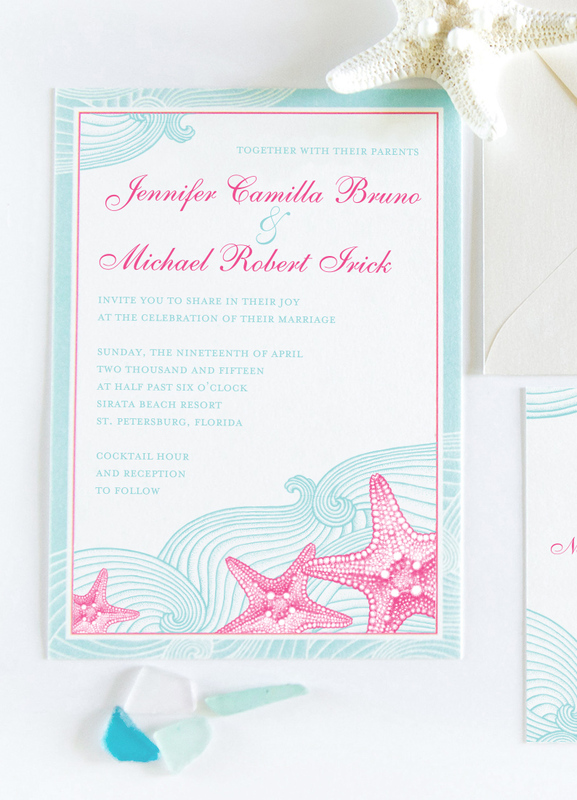 From the invitation suite to day of signage, just like the waves, the beach theme flows throughout. With a mint and fuchsia color palette and detailed illustrations, every piece is unique, yet fits perfectly with the theme. 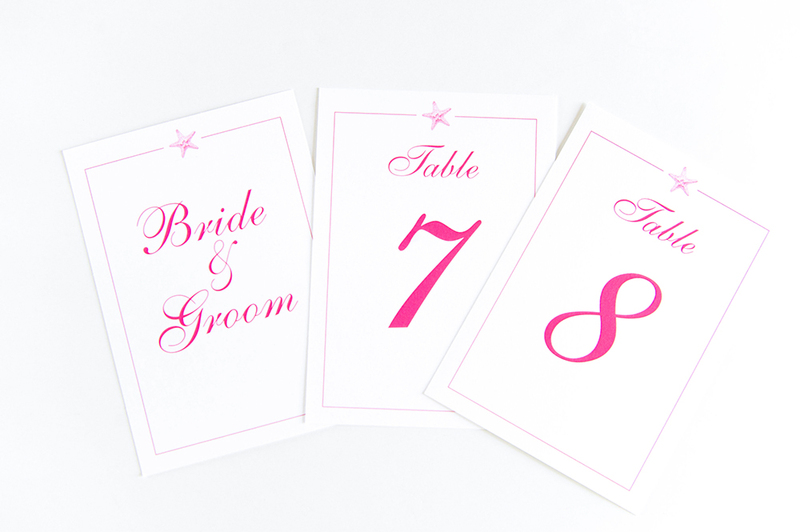 Invitations, place cards, programs, menus, table numbers, custom envelopes and even thank you cards, we do it all! We love getting to use gold foil and other special printing techniques! 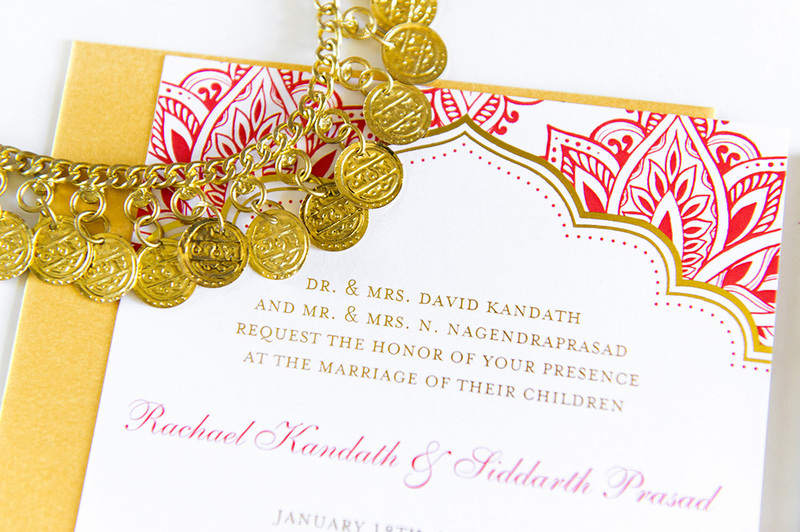 Printing methods like gold foil and letterpress printing add those extra finishing touches that make a huge difference. These red and gold colors made for a stunning combination. 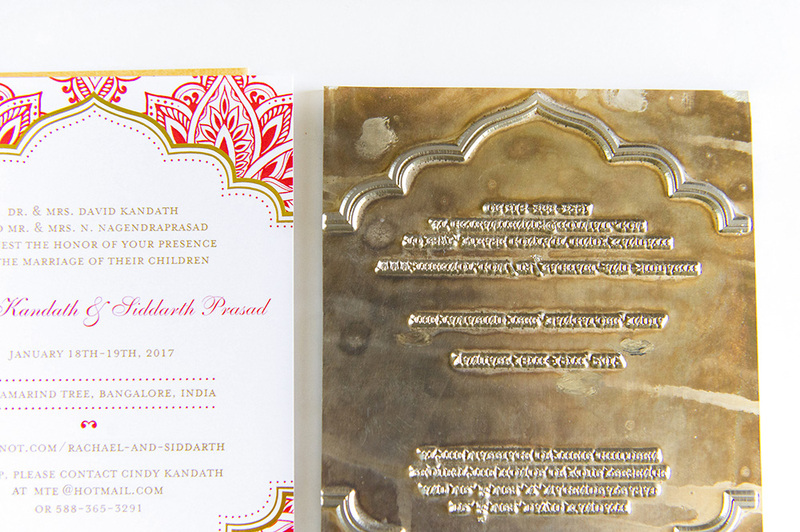 When designing with foil, the invitation is essentially printed twice. Once with color (in this case, red) and then separately with a custom foil plate. Check out the plate for this invitation in the photos below!